Missal (Missale). France (Rouen); Late 14th Century. Latin Text; Angular Gothic Script. The fact that this Missal honors particular saints by its calendar and litany indicates that it was made by friars of the Franciscan order. This was established in 1209 by St. Francis. These wandering friars with their humility, love of nature and men, and their joyous religious ferver, soon became one of the largest orders in Europe. 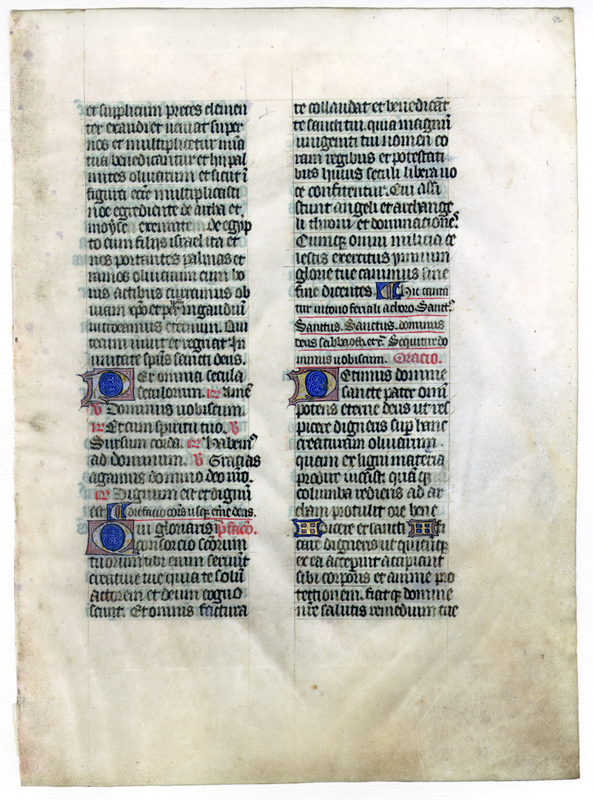 This leaf, with its well written, pointed characters and decorative initial letters, has lost some of its pristine beauty, doubtless through occasional exposure to dampness over a period of 600 years. The green tone of the ink is more frequently found in English manuscripts than in French. However, the ornament and miniature on the opening page of the manuscript definitely indicate that it is of French origin. 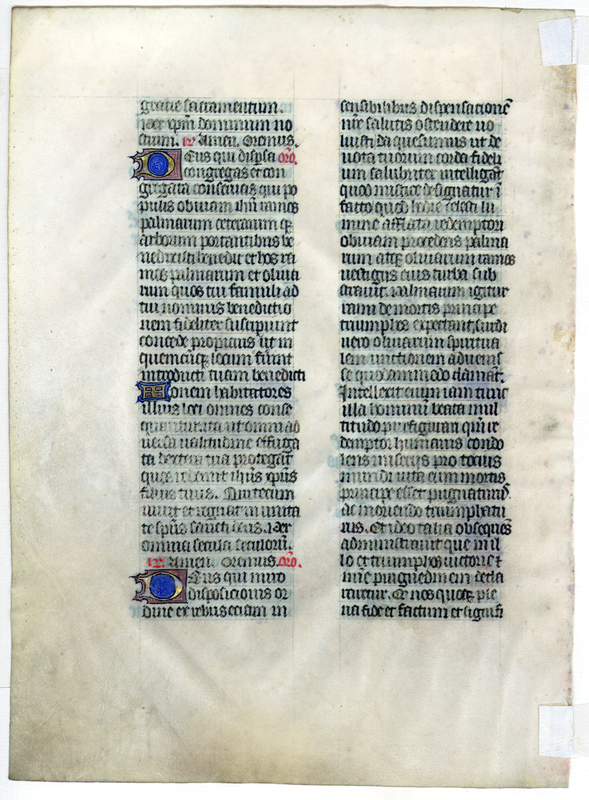 Observations: The dark slate-colored ink used for the text of this leaf has been worn away over the years, sometimes significantly; this, combined with the angularity of the script, makes reading it rather difficult. The decorations are few but are neatly done; even small decorated bars or letters are illuminated. A distinctive presence of color is achieved by red underlining, which is extensive in some places.